LIVE THE LIFE YOU DESERVE! 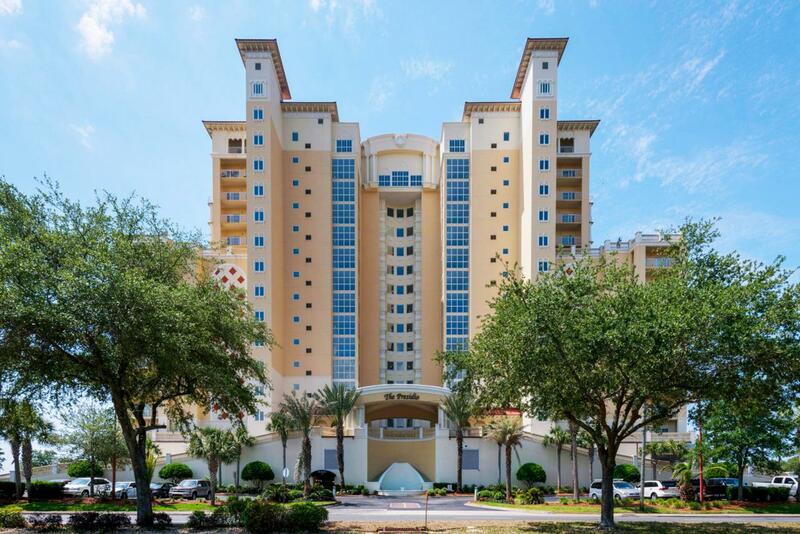 Luxurious yet comfortable waterfront end unit condo has panoramic water views of the Sound and Gulf of Mexico and includes a deeded boat slip! This west-end unit allows you to relax and enjoy breathtaking sunsets from the balcony and living area. From the minute you walk through the grand foyer you will find 9' ceilings and extensive crown molding. Spacious living area with custom plantation shutters and new hardwood flooring throughout. Waterfront dining area opens into the living area separated by columns. Gourmet kitchen with lots of granite counter space, custom Thomasville cabinets, like-new upgraded appliances, center island with a breakfast bar and pantry. Waterfront master bedroom with a walk-in closet and access to the balcony.Master bath has double vanities, corner whirlpool tub,and separate shower. Two additional bedrooms, one of which has a balcony overlooking the Santa Rosa Sound and Fort Walton below. Imagine boating all day in the sound or taking a quick trip to Crab Island and Destin, then parking your boat right behind your condo in your deeded boat slip #37. Unit comes with two reserved covered garage parking spaces. Presidio amenities include covered and uncovered parking, marina, dock, grand entry, fully equipped fitness center with water views, waterfront pool and spa, media theater room, and association room to host your own parties or receptions, and a GUEST ROOM available to rent when needed for extra guests. Call today for your own private viewing!